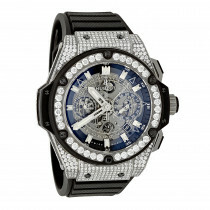 Custom Hublot Diamond Watches: These luxury timepieces from Carlo Crocco are one of the most sought after in the world. The watches are distinctively styled with must see designs. 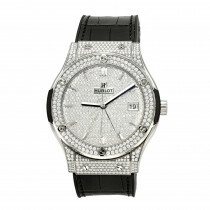 Customized with diamonds our Hublot Diamond watches collection is really unique! 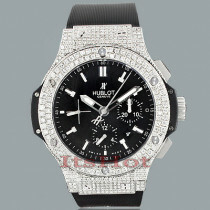 Have a Hublot or any other watch that you would like to customize with diamonds? Contact our friendly and knowledgeable sales team and we will walk you through the process to customize your own watch!